Since 1990, Em has been building rock-solid, 24 x 7, industrial-strength products that are in production use at thousands of sites world-wide. In particular, our smallness means that the people doing customer support are the same folks writing the software, implementing custom solutions or training others in the use of our tools. So our current and potential customers get the best possible support. We provide tools that operate across operating systems (Mac OS X and Windows) and “mothership” publishing platforms (QuarkXPress and Adobe InDesign), so you can choose the best platform and design tool for your needs. Em Software has been in the data publishing tools business for over two decades now, is one of the oldest Quark XTension developers in the world (we’re a Quark Golden Partner), and was one of the very first InDesign plug-in developers. We’re here for the long term. Em Software builds tools that speed data publishing, greatly improve the accuracy of results, and save you the error and delays of manually integrating information from databases and spreadsheets into professional-quality page layouts (and vice versa). 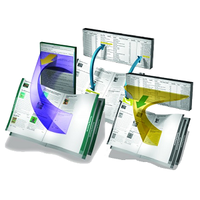 EmCatalog creates transparent links between Adobe InDesign or QuarkXPress documents and databases or spreadsheets. Once links are established by means of the easy-to-use data linker palette, changes can be made in either the document or the database. It’s fully bi-directional—changes are published in the other direction when you make an update. Linked elements can be moved between documents or libraries without losing linkage. EmCatalog is designed to update prices, graphics, or product information—even change versions or swap languages—automatically in just about any kind of catalog, price list, travel schedule, directory, one-to-one marketing flyer, etc. Or, for another example, if you have different pricing regions in a catalog, EmCatalog can swap the prices in for each region automatically. be sure that your document shows the latest info and prices in your database, and that your database shows last-minute changes you’ve made to your document. use off-line simple delimited text data “snapshot” files, on-line FileMaker Pro (and Runtime) databases under Mac OS, and on-line SQL databases such as MySQL, PostgreSQL, Oracle, SQL Server, and Access, using ODBC under Mac OS and Windows (Pro license). use the intuitive linking palette to establish links between any database element and any document text element—from a single character to a phrase to a paragraph to a whole story—or any picture element. forget about links affecting the printing process (they don’t affect any page layout), but view links on the screen (if you choose) so you can see what you’re doing. move links between documents and libraries transparently, for ease of building new documents from old document elements with links intact. use the linking palette’s interactive update capability to update the current single link, whole frames/stories, whole groups, or the current spread, even update automatically each time you make a change. with pre-linked modules in libraries, drag a module, fill in a key value in one link, and watch EmCatalog fill in the whole module automatically. with just one menu selection (Update Document... or Update Data…), make sure all linked document elements match their corresponding database elements. use multiple open documents and use multiple data sources and destinations for complex jobs, even per-document, switching among them as needed. define any number of price styles per publishing project using full tagged text for arbitrary formatting, apply those styles per-link, and have prices fully styled as part of the automated update. select different strategies for obtaining a link’s key field value: direct from the link, direct from the linked contents, indirect from another direct link in the current group, or indirect from linked text before or after the current link. with grouping and indirect keys, build whole modules that require only one key to be set to fully link everything in the module, or build lines or paragraphs of multiple links that are controlled from a single item. enable tagged text support on any link, to capture the full InDesign Tags or Xtags document formatting for any data element. update graphics, automatically resizing them to fit their destination frame in various ways, or to be left sized as-is. point EmCatalog to your picture folders, using aliases/shortcuts in your project control folder. Enable “fuzzy lookup,” which even finds linked graphics files that have filename prefixes or file types/suffixes. script all updating operations for powerful workflow automation. use the full Unicode character set in various encodings, for all data files and ODBC connections. What if the sales folks change prices or descriptions in the database at the last minute—did you catch all their changes for all products affected? Using a single EmCatalog menu selection (Update Document), you update your document pages from the database and catch all last-minute changes. What if you’ve made last-minute editorial or pricing changes to your document—will you remember to update the master database in every case? Using a single EmCatalog menu selection (Update Data), you update your master database to match your current document contents. How are you going to import and manually format pages and pages of flowing product descriptions, tables, prices, and pictures without endless labor and error-prone editing? Using the companion product EmData, you flow in all your data, fully formatted and fully linked to the database, ready for last-minute updates and extractions with EmCatalog. How are you going to build pages and pages of product modules, without endless labor and error-prone editing? Using pre-linked library modules for each basic module format, you drag in a module, set one link’s key field, and EmCatalog flows in all the rest of the module contents (text and pictures) automatically. Do you really have to open all your catalog document spreads and update them one by one? With scripting support in EmCatalog, you script the updating (or extracting) of any number of documents with one click. How do you get the data from your company’s “big iron” databases (Oracle, Sybase, SQL Server, MySQL, PostgreSQL) into your documents, or back out? With EmCatalog Pro’s ODBC support, you directly access these databases from the comfort of your desktop. How are you going to get low-level formatting in data elements such as product descriptions, making words or phrases bold, italic, etc.? Using EmCatalog’s tagged text feature, you enter simple Xtags or InDesign tags in your data to create the desired formatting. How are you going to handle the various price formats in your catalog without endless and tedious fiddling as the data changes and your style decisions change? Using EmCatalog’s price style feature, you mark each price with the appropriate style, and change styles globally as needed. During data update, EmCatalog updates price styles as well as content. A normal license enables EmCatalog to work with delimited text data “snapshot” files, and, under Mac OS X, with on-line FileMaker Pro (and Runtime) databases. A Pro license further unlocks the ODBC capabilities of EmCatalog, which can then update documents directly from and to ODBC-accessible databases such as MySQL, PostgreSQL, Oracle, SQL Server, Sybase, Access, etc. EmCatalog has been in production use at thousands of sites, world-wide, since 1994. It has been steadily improving all these years, directly driven by user feedback. Navigating from the sidebars on the upper right, you can browse testimonials and news, head to our online store to purchase a serial number, download the appropriate software (which also functions as a trial version), download the manual and tutorials, browse release history, get more information about obtaining pre- and post-sales support and about evaluating the product, and see recent product-related news items on this site. 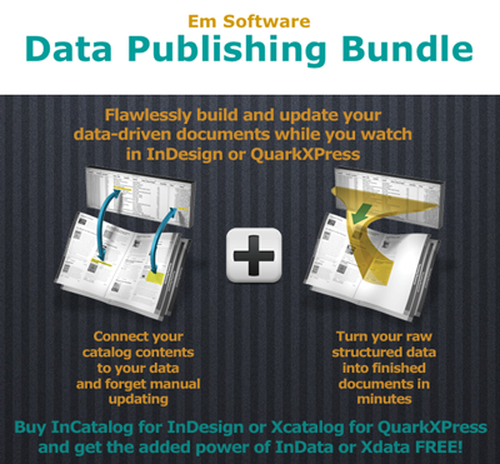 EmData brings the full layout, design, typographic and picture publishing power of Adobe InDesign and QuarkXPress to bear on all data-driven repetitive publishing tasks. Simply put, EmData works like a mail merge on steroids. You create a template in a normal document, with rules that tell it how to format your text and graphics. 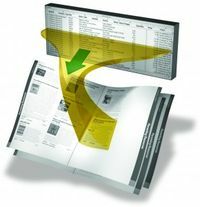 Then, with a single menu invocation, EmData builds your documents at jaw-dropping speeds—up to hundreds or even thousands of pages per hour. EmData is designed to build one-to-one marketing mailers, product catalog, financial and legal reports, conference guides, abstracts, real estate guides, trader and swap magazines, classified advertising, timetables, phone books, course listings, TV guides and much more—just about any job where you have variable data to publish. You can use your publishing platform’s typographic controls for each variable field and for any static text, to get just the right look for your data. EmData has a powerful English-like scripting language and you can put any field from your data source in any order in the text flow, force page breaks, generate headers/footers, apply master pages as needed–and lots more. Use EmData’s scripting language to build simple or complex rules for including or excluding fields, pictures and static text. And there are no limits on your data: records and fields can be as many and as long as you need. EmData is designed to build • one-to-one marketing mailers • product catalogs • financial and legal reports • conference guides • abstracts • real estate guides • trader and swap magazine • classified advertising • timetables • phone books • course listings • TV guides • and much more: just about any job where you’re given variable data to publish. in your template text, use bracketed names to identify each incoming data field, e.g., «address», and style each field with appropriate text and paragraph attributes. You can weave in static and dynamic text and pictures, include your fields in any order, or omit fields entirely. do simple jobs easily, and still tackle the toughest and most complex jobs with power. sort and then export from your database application, spreadsheet applications (e.g., Excel), or download from the web or your corporate information systems, and then import the resulting data file with EmData, fully formatted. use as many fields and records as is practical, with each being as long as needed. import related graphics into picture frames anchored in the incoming text. You can size the graphic to the picture frame or the frame to the graphic, using one of several sizing options. calculate and store information for later use in the prototype, or for use in later records. create more sophisticated record templates that apply different formats to a field, based on its or another field’s value. 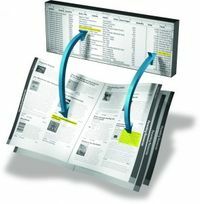 For example, you can print heads and subheads only when they change, or generate a page break, given a change of value indicating a new section or subsection. loop over data elements (character or words or lines), looking for particular information, or even repeat whole portions of the prototype. create multiple, independent “dictionary-style” headers and footers on each page or spread, with sophisticated controls over the header/footer contents. based on incoming data, use different page layouts by applying master pages. drive EmData with scripts for automation of repetitive single jobs, as well as large, complex jobs involving multiple imports in multiple documents. build your templates with EmCatalog links embedded. Later, using EmCatalog, you can update fields in place from updated data, or extract any document updates to your data. in your data to be imported, use the full Unicode character set in various encodings (auto-detected at input time). You’ve got a raw data dump from a spreadsheet or database, and you’ve got to import each record, re- arrange the fields, style each field appropriately, deal with missing fields in some cases, etc. You’re looking at hours or days of endless busywork that’s also quite error-prone. Writing an EmData prototype, you declare the fields, use field placeholders in the appropriate order, style each placeholder as needed, and then with a single menu selection (Import Data…), you’re done in a few minutes, with 100% data accuracy. You’ve got a complex data publishing job, with sections, subsections, a huge list of fields, many of which are optional, potentially multiple graphics per entry, etc. How are you going to automate it all? Using EmData’s English-like scripting language, you build conditional rules to suit your needs, including or excluding fields based on the presence or content of other fields, including one or more graphics per entry based on picture availability, etc. You need “dictionary style” running headers or footers for each spread, for example, to show the first and last names on the spread. Using EmData’s built-in header/footer support, you decide which data fields to track, and whether to only look on this spread or on previous spreads. You’ve got a truly complex data publishing job, where the basic page or spread layout needs to change, based on the incoming data. With EmData’s master page/spread support, you use conditionals that apply the appropriate master for the current data. You need to format the beginning or end of a given sub-group of records specially; for example, you need a header for each state in a directory listing. Using EmData’s ability to look forward or backward one record, you build a conditional statement that decides when you’re at the start or end of a group and format appropriately. You’ve got to build and print or save a bunch of documents using one basic template and multiple data sources, or you’ve got one data source and multiple documents to build. It’s tedious to do it all one-by-one. With EmData’s scriptability, you can easily automate this and many other “batch” situations. You’re building your document with EmData and are miles ahead of the game, but you might need to make last-minute small but wide-ranging changes—for example, updating a set of prices in a catalog or parts list—and you can’t afford to miss any changes, nor make any pricing mistakes. Using our companion product EmCatalog, you link your prototype data field placeholders to the appropriate field in your database using another data field for the key, and flow in the data with all EmCatalog links in place. Anytime later, you can update the linked document contents from the latest database snapshot, with 100% accuracy, and without re-creating the document. EmData has been in production use at thousands of sites, world-wide, since late 1990. It has been steadily improving all these years, directly driven by user feedback.